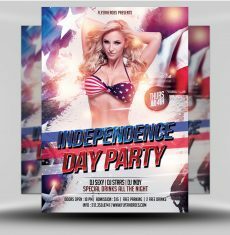 Throwing a 4th of July party? 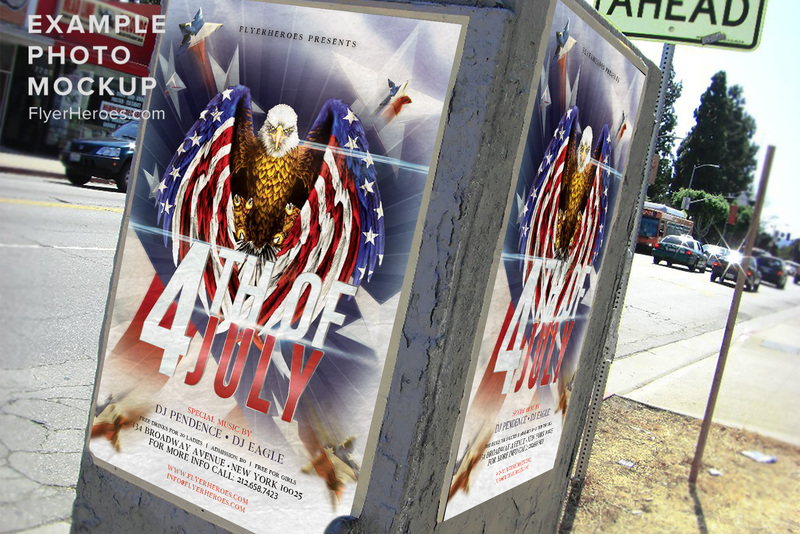 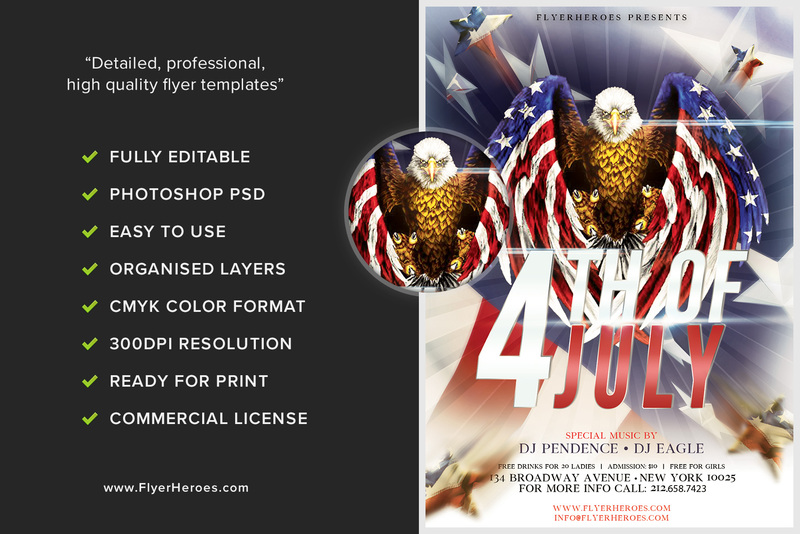 Promote it with our stylish Independence Day flyer! 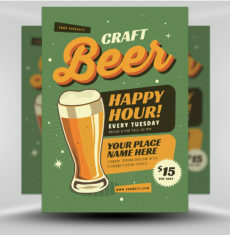 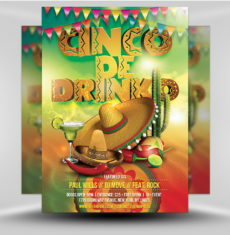 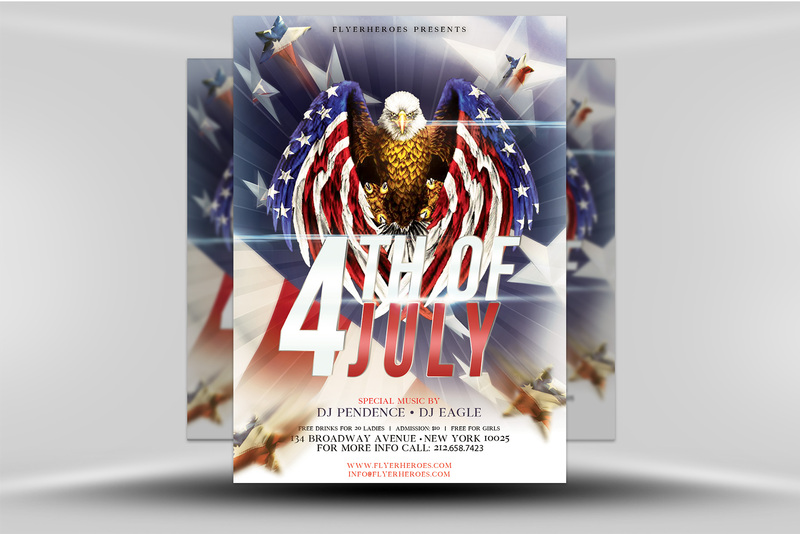 This flyer featues a clean design with one main focus – our country. 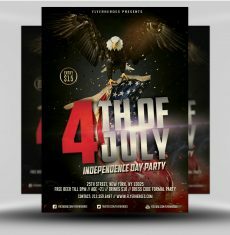 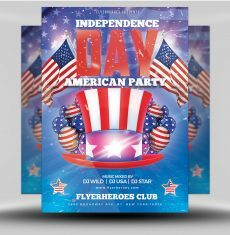 A beautiful background of the American flag and eagle fill the flyer and fade into your event’s information. 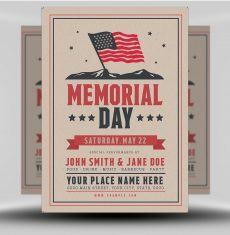 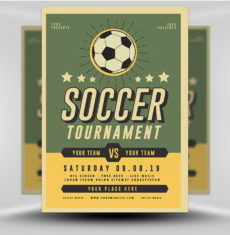 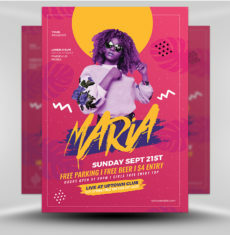 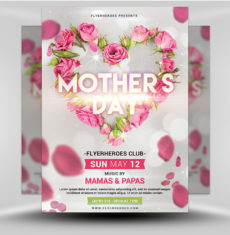 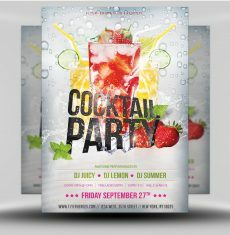 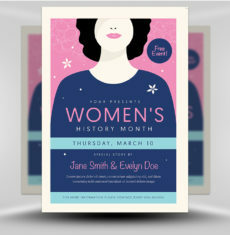 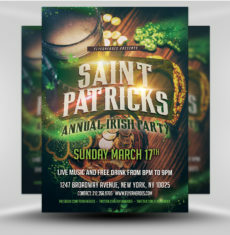 All text is easily customizable and uses various fonts, styles, and sizes to make sure your special event is in the spotlight. 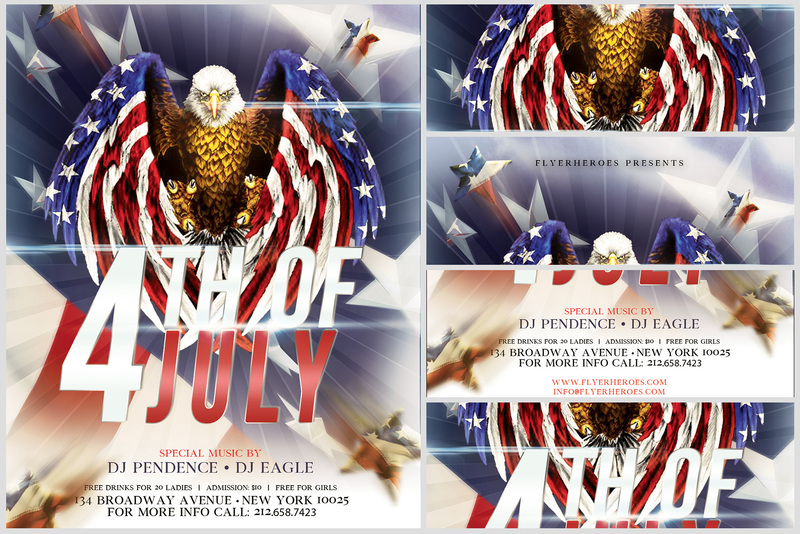 Use this flyer to promote a special event for Independence Day at your restaurant, picnic, firehall, or other venue!